As stated in nRelate’s site, the developed algorithms discovery not only key words, but also with phrases, and yet prioritizing them based on a Relevancy Scoring System, which is able to increase firmly in the relatedness rate of the results. Also, nRelate is accomplishing with White Listing, in which enables site owners to display content from a group of other sites. 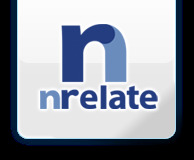 nRelate provides much more customizations than LinkWithin, and the showing of nRelate’s logo, as well as the Ads are absolutely optional. Firstly, you can choose to display either Thumbnails (in 6 sizes) or Text. As for Thumbnails, you may currently select any one of the six available styles, which include: Default, Trendland (Modeled trendland.com), Bloginity (Modeled bloginity.com), ToonBarn (Suitable for bigger Thumbnails in which size above 100px), LinkWIthin (just look the same as LinkWithin’s widget but without the LinkWithin’s url shown at the bottom right ), and Polaroid. Huffingtonpost is another new style that is currently not available, in which will turn the widget to give you with the feeling of reading an American news website or aggregated blog. By using nRelate in your site, you could always expecting for more, even your site is still a tiny new blog with less number of posts. Besides showing Internal Links, nRelate gives you option to show Partner Links as well. The Partner Links option allows you to relate multi-sites environment and solve the problem of keep showing the same related contents for site with very less number of posts. nRelate also offers other products, including showing the Most Popular posts, In-Text Linking ability, and a Flyout recommendation plugin. As for the speeds of responding, nRelate claimed that they are able to deal with 1,000s of requests for every second, and they are able to deal with huge traffic spikes. However, the initial setup time might be really long for newcomers. nRelate mentioned in their site that a waiting period of 2 hours time is required for setup indexing purposes, but personally I did experienced a waiting period of a whole day long. So, until this point, if you feel that you will be happy with nRelate, yet you may just go and register an account with them and do the setup staffs first, before you continue your researches on Related Content Engines. Another attractiveness of nRelate is the ability to display Sponsored Content Links, in which may be treated as one of the monetizing elements of your site. You are allowed to select to either showing your internal links first before the sponsored related links, or the other way round, or just simply mixing the sponsored related links with your internal content links, as the way to increase the possibilities for the viewers to have a click on the sponsored related links. The earnings report of your sponsored content links will be updating once a month and the payment of your earning will be sent to you via PayPal. Therefore, you are required to provide your PayPal’s email, if you are interested in utilize the Sponsored Content Links option. Moreover, nRelate does really prepared to help you by offering you with several ways of supports. You may reach them by filling the contact form in their contact page directly, or simply dropping by to their forum. Yet, you may expect a respond in timely manner. Lastly, if you are concern about SEO and you were trying so hard to save your Link Juice, perhaps you may give nRelate a try. nRelate in fact do not requires you to feed them with your Internal Link Juice, but they do not generate much extra internal link juice for you as well. If you wish to have not only Related Contents widget, but also showing your viewers with Most Popular posts, in-text related links, as well as Flyout recommendation, nRelate will then eliminates your worry of having too many links to several different locations, just for the purposes to grab those features into running. There are with many out there feel that nRelate is just a child, when it is standing in a row together with Outbrain. For sure, Outbrain is now the choice of many big names and this answering you why they requires your site to achieve certain level of popularity, before they are willing to share their profits with you. So, if you wish to try your luck to earn some online bucks with your tiny sites, nRelate will be the better choice for you. nRelate promises to share content revenues with you regardless how small is your sites or how less your site’s traffics might be.